If you haven’t shopped at the Arts & Crafts Festival, then you missed the latest additions to our Comfort Line :). The Prayer Stitchers are some amazingly talented ladies that have been stitching up some sweet comfort for all ages and occasions. 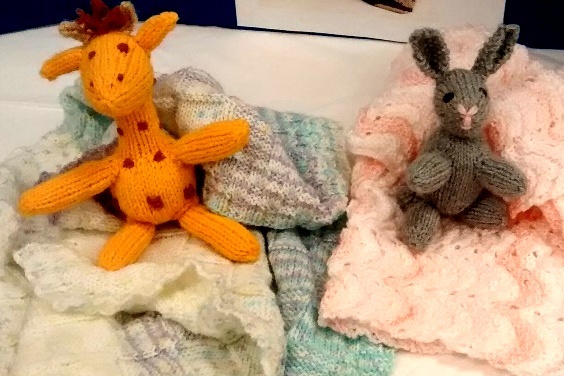 Gabriel the giraffe joins Benjamin the bunny in search of a new home. Their brothers and sisters have already found some loving homes comforting babes of all ages. If someone you love is in need of some comfort, Prayer Stitchers meet on Wednesdays in the youth wing from 10:00 a.m. to noon.